Dr Melrona Kirrane is an organisational psychologist and lecturer in human resource management at Dublin City University Business School (DCUBS). Melrona received her undergraduate degree in Psychology from University College Dublin in 1989. She was awarded her doctorate in Organisational Psychology from The Queen’s University of Belfast in 1992. She completed a BSc in Human Resource Management in 1995 and was conferred with a Masters in Psychoanalytic Psychotherapy from University College Dublin in 2010. Melrona has been a lecturer in Organisational Psychology at Dublin City University Business School (DCUBS) since 1999, and teaches on a range of Advanced Management programmes there. 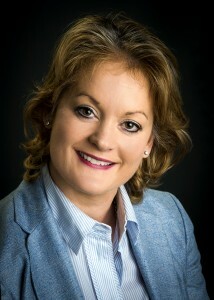 DCU Business School is recognised nationally and internationally for the outstanding quality of its business education programmes, and Melrona’s particular responsibility at DCUBS is in her role as Academic Director of the MSc in Work and Organisational Psychology, a programme which has been running for 20 years. As Academic Director of the MSc, her role is to ensure that the education of organisational psychologists in Ireland is of a world-class standard. Over her years at DCUBS, Melrona has taught every module delivered on to this programme, including courses on employee selection, leadership, and change management. Since 2007, Melrona has delivered the Strategic Change module on the International MBA programme at the University of Austria. Her work has been published in national and international peer-reviewed journals such as the Journal of Managerial Psychology. Melrona supervises a range of PhD projects at DCU. Students are currently working on issues such as leadership, change management and team performance. Proposals are welcome from students who are interested in undertaking doctoral work in these areas. Enquiries are also welcome about projects which would involve the doctoral student in examining the influence of individual characteristics on the work environment. Melrona has a keen interest in the use of psychometrics for a range of business purposes and advises companies in this regard. Melrona is available to talk to the media on any issues related to organisational psychology, work-life balance, change in the workplace, or other related issues. She has also addressed academic conferences, and small business events, and is an experienced and confident public speaker. Please get in touch, if you'd like to discuss conference or media opportunities with Melrona. Melrona is the co-author, with Gerarldine Grady, Alma McCarthy, and Colette Darcy, of Work-life Balance: Policies and Initiatives in Irish Organisations. The book provides organisations with a practical, step-by-step guide to enable them to adopt and implement appropriate 'work-life balance' strategies.